The Lat 56º Laptop Messenger Case is one of the toughest and best made bags we’ve ever tested. It might appear a little heavy duty for some, but anyone tramping through airports on a regular basis will love its no-risk design. Able to store and protect a range of gadgets, it’s the kind of bag we can see moving through airports, planes, cars and trains for years. It’s a masculine design, for sure, but the Lat 56º Laptop Messenger Case is all about ruthlessly efficient form and function. Completely waterproof, this 12-litre bag has a padded sleeve within the main compartment that’s good for storing either an 11-inch or 13-inch laptop or ultrabook. 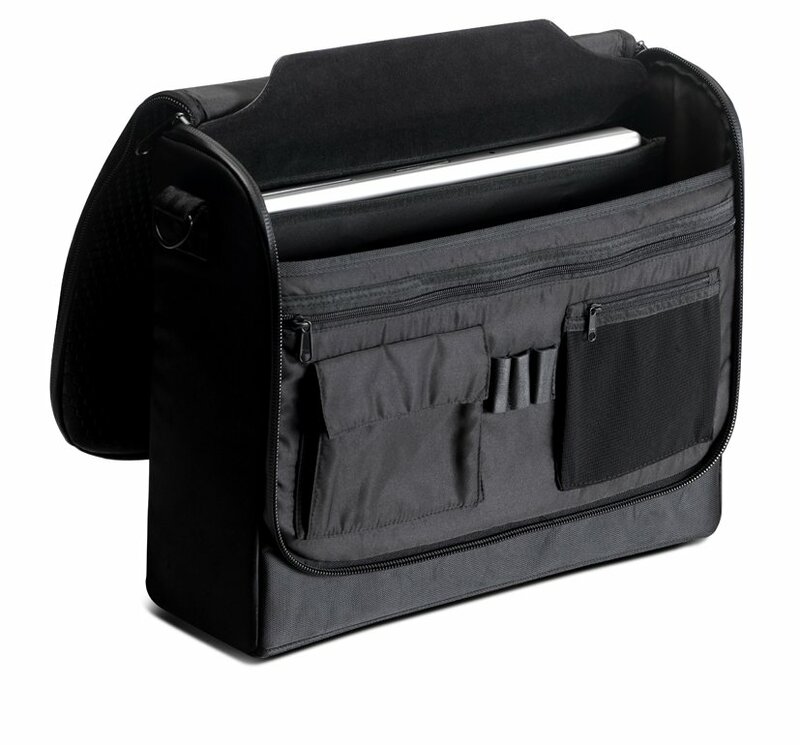 Ahead of that is an area ideal for storing chargers, cables and all the other annoying things that must accompanying a laptop, while a section on the front can cradle a couple of smartphones, too. Our iPhone 5S fitted perfectly. Besides these pockets are pen holders and a small zipped pocket for cash or keys. Close the lid and off you go? Not quite. Before donning the comfy shoulder strap we spied a ‘secret’ zipper on the body-side that revealed a built-in lined sleeve that perfectly fits an iPad. A unique attention to detail – and from designers that are very obviously frequent travellers themselves – adorns the Lat 56º Laptop Messenger Case. OK, so it’s a rather bulky 1.5kg bag, but if you’re travelling with tech there are few better options.